Theatergoers can now access group purchasing power for insider deals to top Broadway shows through Broadway.com/Groups. The leading resource for group theater ticket sales and Broadway experiences, Broadway.com/Groups is offering special group rates for some of the most celebrated Broadway shows this spring through the winter months. To re-visit a favorite classic, or for those that have yet to see some of Broadway’s most acclaimed musicals, Broadway.com/Groups is offering ticket specials to see the Tony-award winning crooners from Jersey Boys, the unforgettably wild-world of The Lion King, and the pop-musical Mamma Mia!, featuring songs from ABBA, among others. Book the Early Bird special for The Addams Family with tickets starting as low as $52 at select performances May 10-October 30, paid in full by May 6, 2011 groups of 12 or more. Additionally, this family-friendly musical will be debuting a Monday night curtain July 11-September 4, 2011. For Tuesday, Wednesday and Thursday evening performances, Mary Poppins offers groups of 15 or more prices starting at $42 for rear Mezzanine and balcony seats, $52 for mid Mezzanine seats and $62 for Orchestra & Front Mezzanine seats. Offer is available for shows August 23-November 20, paid 30 days prior to performance date. In addition, receive one complimentary ticket for the first 20 paid tickets, or three complimentary tickets for 51 tickets purchased (Max. 3). Rear Mezzanine seats start at $67, with all other seats starting at $87 for The Lion King. Offer available for Tuesday, Wednesday, Thursday evenings and Sunday matinee performances August 27-November 20. Group minimum starts at 15 and payment is due 45 days prior to performance. In addition, receive one complimentary ticket for the first 20 paid tickets, or three complimentary tickets for 51 tickets purchased (Max. 3). From September 5-December 18, Orchestra & Front Mezzanine seats start at $76.50 with rear Mezzanine starting at $42 for the scandalously delightful Chicago. Specials are available for groups of 10 or more for any performance, except Saturday evenings. Mega-hit musical Jersey Boys offers groups of 15 or more incredible discounts with tickets available for as low as $56 for most performances, select Orchestra seats as low as $62 and $43 for student groups this fall. This Fall Sale is available for weekday performances September 6-October 30 and must be paid in full by July 31, 2011. Sing and dance to ABBA at Mamma Mia! with tickets starting at $57 for rear Mezzanine seats and $75 for Orchestra & Front Mezzanine seats. Offer available for groups of 15 or more, Monday-Friday evenings and Saturday and Sunday matinees throughout 2011. These and other shows are also featured on the group sales booking widget for travel buyers to promote and sell the most popular Broadway shows directly on their own website. Additionally, for any last-minute planners, Broadway.com/Groups recently introduced their “Last Minute Stock” page featuring inventory of some of the hottest Broadway shows only a few days or weeks in advance of the show date. Visit www.broadway.com/groups/last-minute for current “Last Minute Stock” being offered. In order to purchase tickets, the buyer must adhere to group minimums as set by each show. To determine a show’s group minimum, please visit the shows page and see the “Minimum # of Tickets” column. 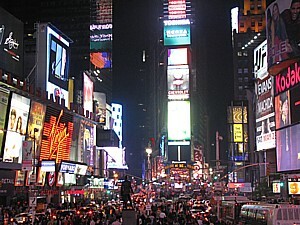 For more information on show information and to book these exclusive offers, visit www.broadway.com/groups. Restrictions and black-out dates may apply. Broadway.com/Groups advises to book early to ensure availability for these special offers. Tony-Nominated® Producer and author of the popular blog, TheProducersPerspective.com, Ken Davenport makes sure that Broadway buffs, musical mavens and gadget geeks have insider access to information on all the best shows with his AT THE BOOTH™ App, now available on Android in addition to an updated version now available on for iPhone users. As featured in Entertainment Weekly’s “Must List,” AT THE BOOTH™ lists all the Broadway and Off-Broadway shows available at the TKTS® booth every day and at what price (50%, 40%, etc.). For 99 cents, AT THE BOOTH™ saves theatergoers time, money and frustration that are usually associated with waiting in those long ticket lines. In addition to keeping theater-goers savvy with ticket-buying tips, AT THE BOOTH™ is also a complete Broadway and Off-Broadway directory. With info on EVERY Broadway and Off-Broadway show, along with reviews, cast photos, videos, synopses, performance schedules, running times, cast lists, recent headlines, opening and closing dates, full and group-price ticket information, and a full directory of Broadway and Off-Broadway theaters – including maps to help you get there – AT THE BOOTH™ even tells you how long the lines are! In addition to the latest updates from the TKTS® discount booth in Times Square, AT THE BOOTH™ provides the information to help you decide which show to see and how to save the most money on your ticket.